RED SOLD OUT. H9cm (excluding hanging loop) x W9cm. 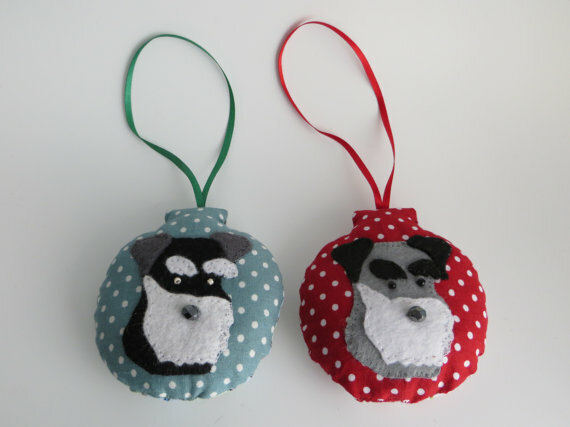 Made from pretty mini polka dot polycotton fabric in 2 colours, and backed with a co-ordinating floral fabric, these felt Schnauzer dog motif Christmas baubles would look great hanging from any dog lovers tree or door handle this year! 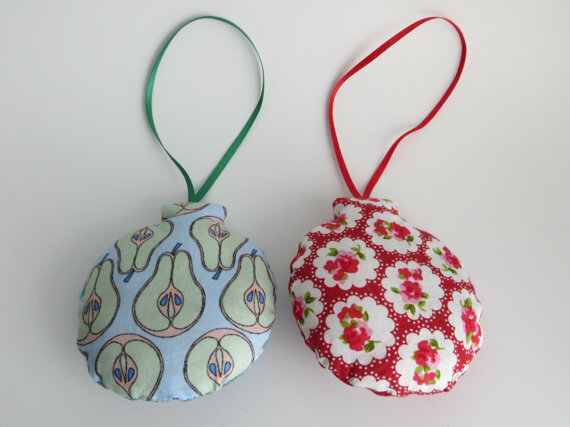 Filled with a mixture of polyester stuffing and French lavender they even smell nice too. Matching hanging ribbons and 3 black beads finish the details. Backing fabrics may vary in pattern but not basic colour. Materials: Polycotton fabric, polyester stuffing, felt, beads, French lavender, ribbon.